Prof Kotowicz is a clinical investigator whose research activities have focused on the pathophysiology, epidemiology and treatment of osteoporosis. Trained in osteoporosis epidemiology by Prof LJ Melton III at the Mayo Clinic and Foundation, he was one of two full-time clinical academics appointed to the University of Melbourne’s Department of Medicine at The Geelong and St Vincent’s Hospitals in 1991. This was the first regional academic department established in Victoria and has grown to become an independent department in 2001, the Department of Clinical & Biomedical Sciences: Barwon Health, supporting epidemiological, clinical research trials and basic laboratory research. In 2010, he transferred to Deakin University. 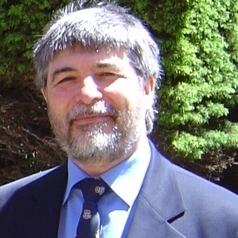 He has been a principal investigator on the Geelong Osteoporosis Study since 1993 and has had continuous funding from NHMRC for studies investigating the epidemiology of osteoporosis 2004-14. He has been an investigator on numerous clinical trials in osteoporosis and has over 200 publications in peer reviewed literature.